The University of Houston-Downtown (UHD) and Lone Star College (LSC) have a long-time commitment to student success. On March 29, leaders from both institutions will sign an articulation agreement pledging to enhance higher education in the Houston area and provide students with clear academic pathways. The signing event is slated for 10 a.m. at LSC-University Park in the Houston Room (850) of Building 11 (20515 State Highway 249). UHD and LSC vice presidents, deans, chairs and faculty members will be in attendance for the event, as well as LSC Board of Trustees and University of Houston System Regents . Embedded advisers: UHD advisers will have an enriched presence at LSC campuses by working in tandem with the LSC staff to help students navigate their way through associate's hours, financial aid requirements, and the transfer process from LSC to UHD. Joint admissions: LSC students can co-enroll at UHD and take courses from both institutions. Degree maps: LSC students will have access to detailed outlines of courses that can be applied toward UHD undergraduate programs. Approximately two-thirds of UHD's student population are transfers from area community colleges. In 2016, nearly 600 students transferred from LSC to UHD. "We value our collaborative relationship with Lone Star College. It's a partnership that affects students throughout Greater Houston. Many excellent Lone Star students make their way to UHD to complete their bachelor's … and ultimately master's degrees," said Michael A. Olivas, UHD interim president. "And, many UHD students take advantage of our offerings at Lone Star campuses. Today's articulation agreement signing reaffirms the commitment of Lone Star College and UHD to provide quality higher education experiences in the region and help students succeed." Presently, both institutions collaborate through the delivery of UHD courses at three LSC campuses, including UHD Northwest at Lone Star College University Park. 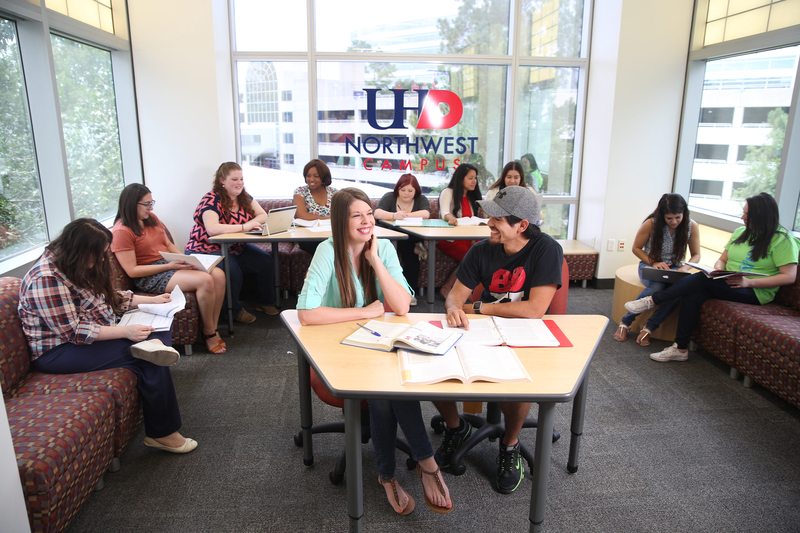 UHD Northwest offers 19 undergraduate programs, four graduate degree programs, and four graduate certificate programs. UHD advisers are currently at this location and available to assist Lone Star students. "Lone Star College has had a dedicated and successful relationship with the University of Houston-Downtown," said Stephen C. Head, Ph.D., LSC chancellor. "We look forward to continuing our partnership for many more years to come." The agreements signed by UHD and HCC will reflect both institutions’ commitment to the Houston Guided Pathways to Success (Houston GPS) initiative. This multi-institutional partnership fosters collaboration among area colleges and universities with the goal of helping students graduate on time and with less debt. Additionally, Houston GPS is focused on streamlining the transfer process between local community colleges and universities.